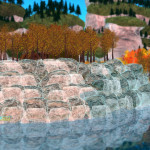 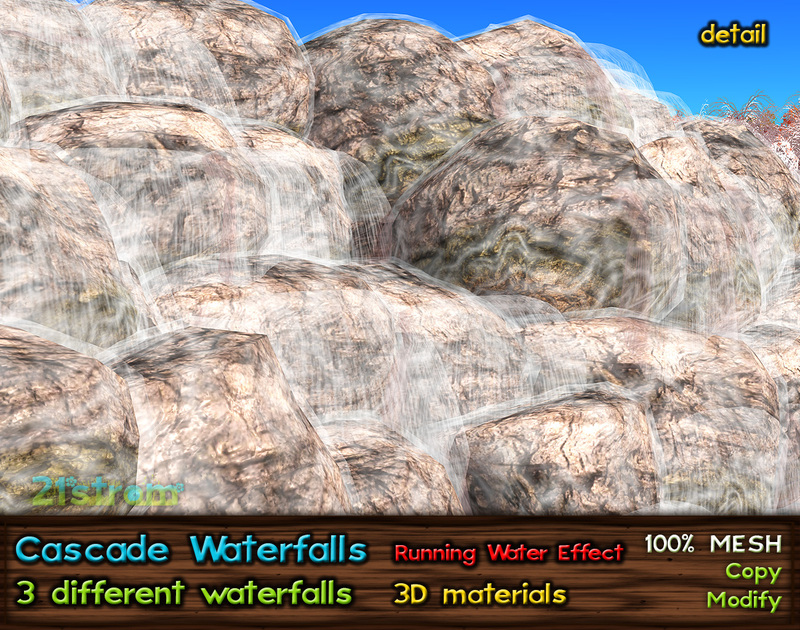 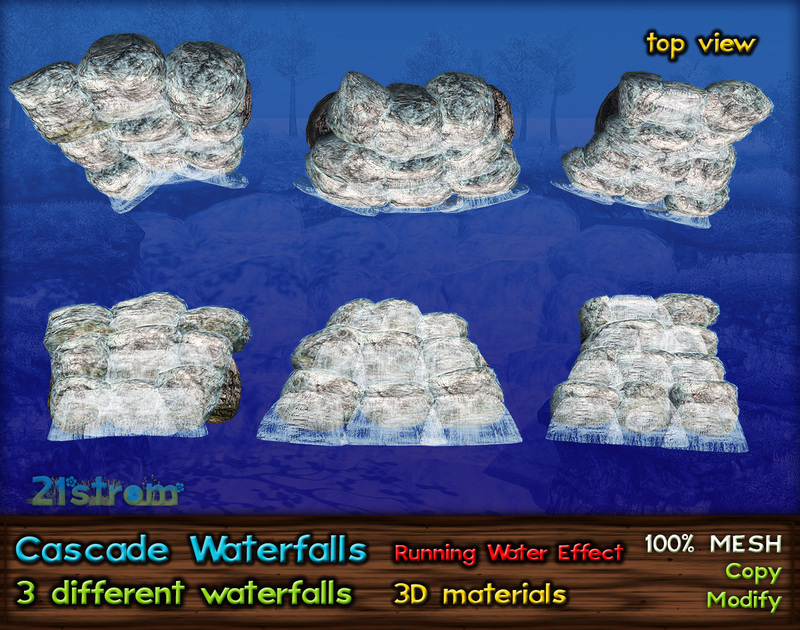 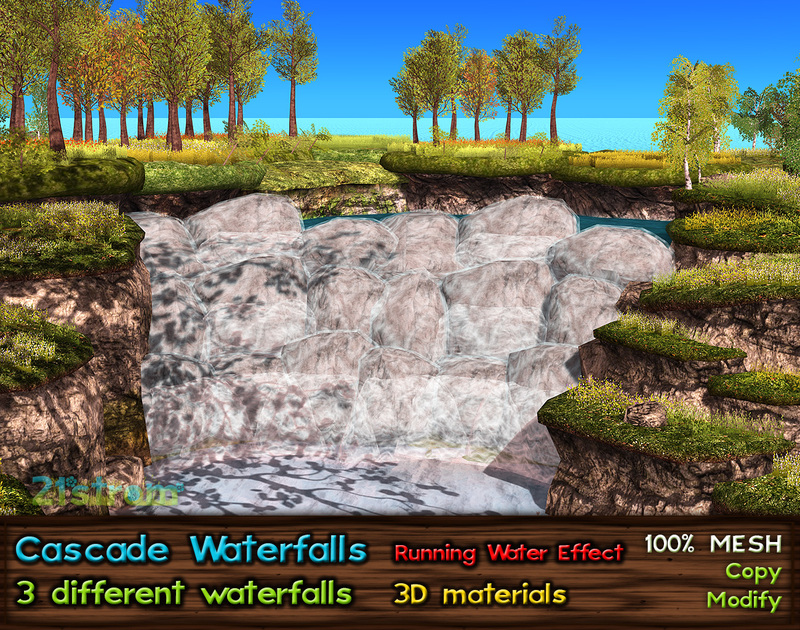 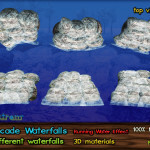 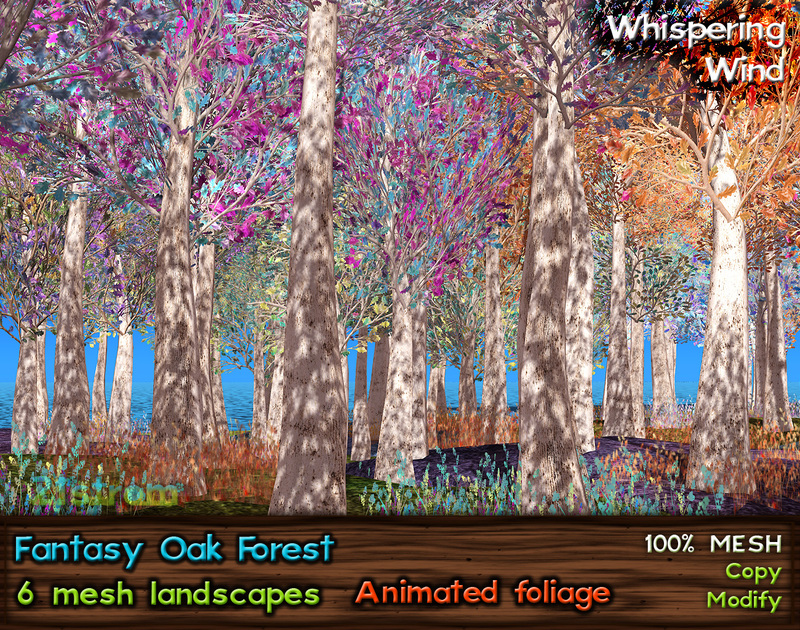 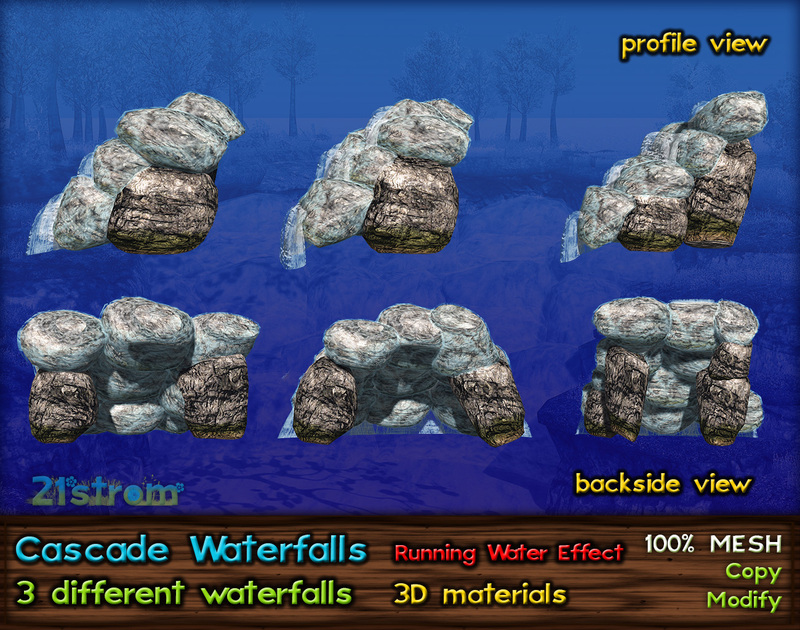 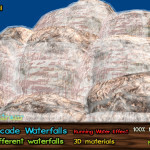 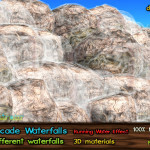 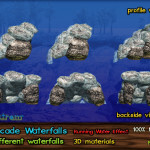 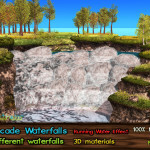 Mesh waterfalls in 3 different shapes – straight, convex and concave cascade waterfall with water running over the stones. 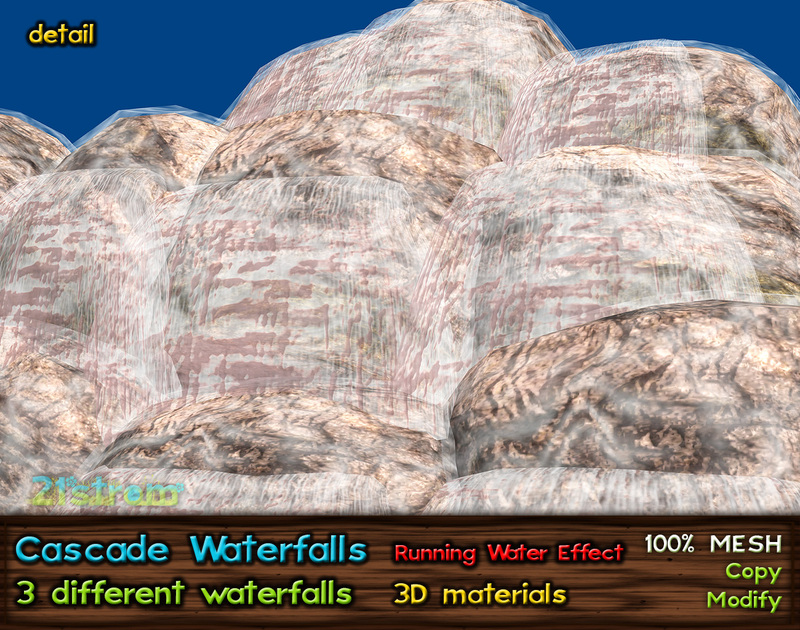 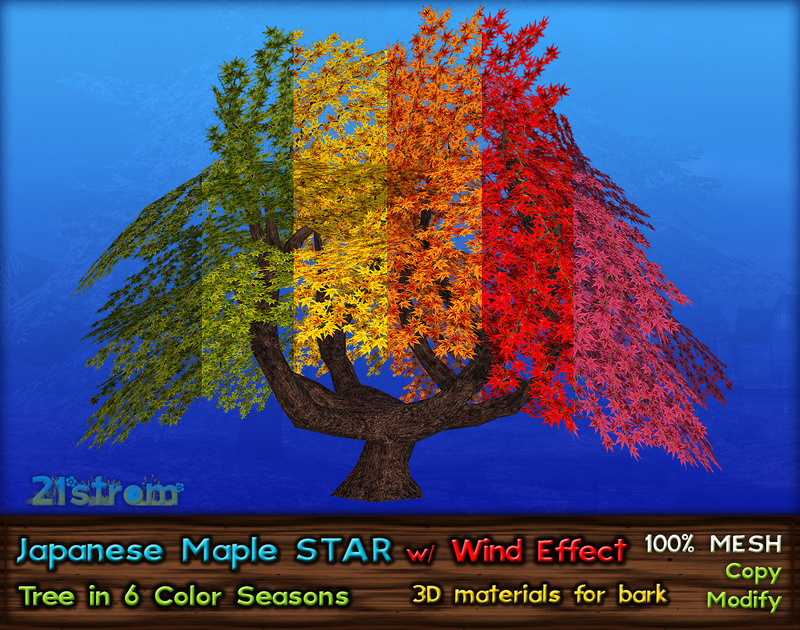 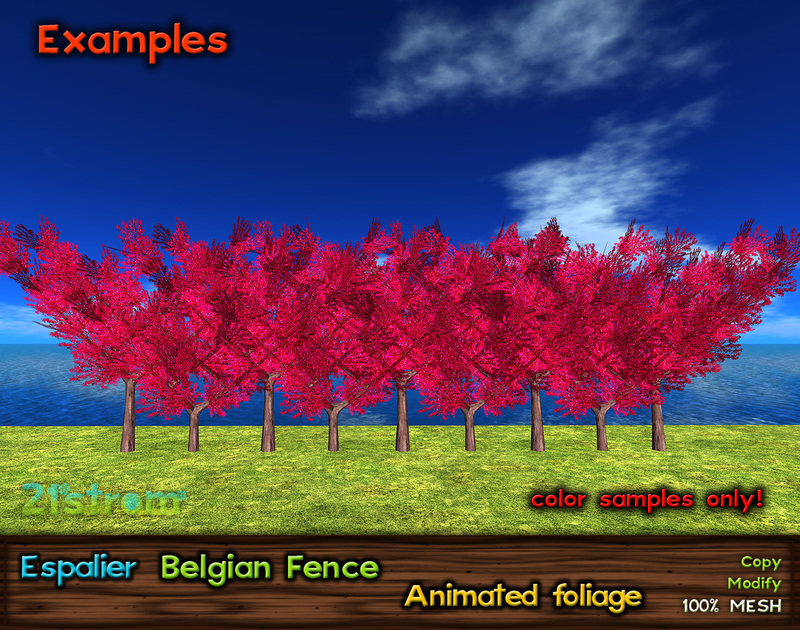 3D materials enabled for all parts. 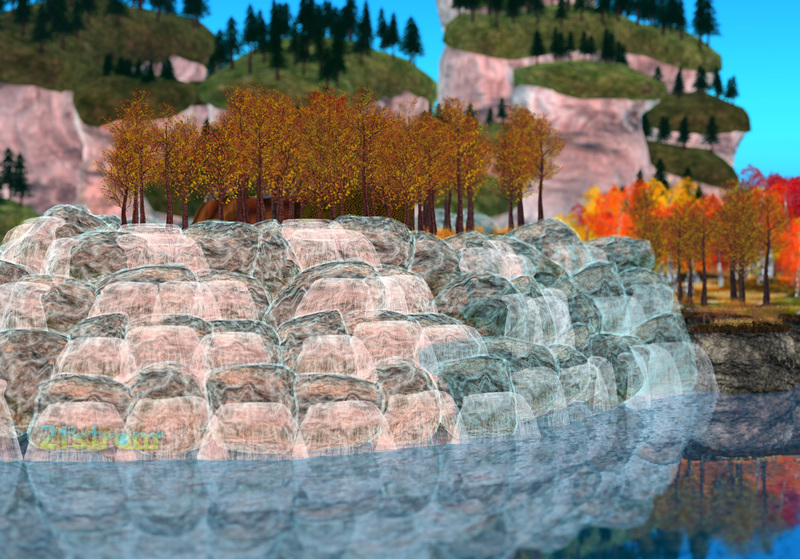 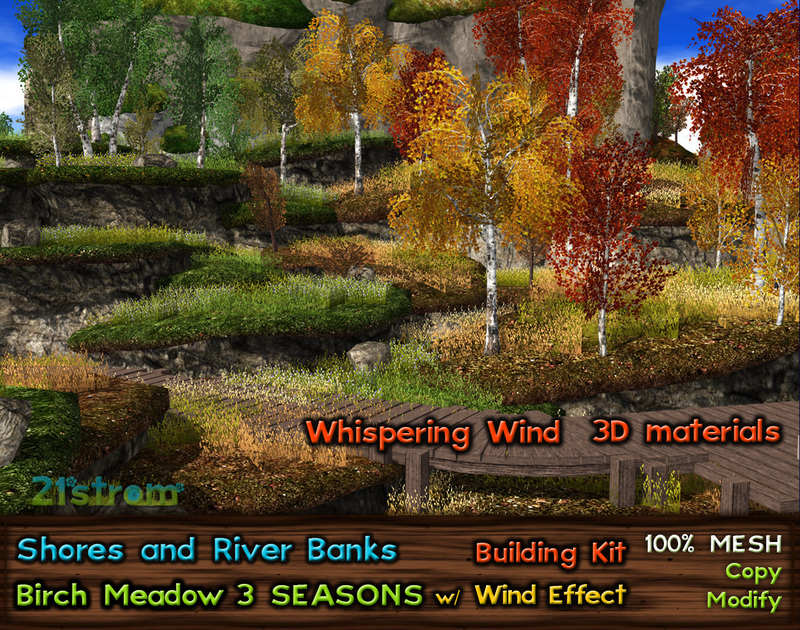 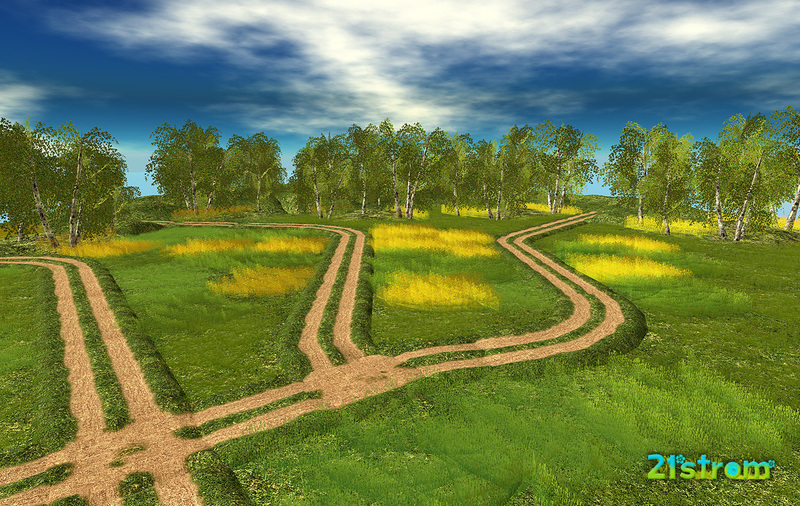 You know the waterfalls from SL13B, see HD video.